Raised on her beloved Mississippi Gulf Coast, Robin was destined for success. Surrounded by her remarkable family, love, inspiration, and creativity were never in short supply. As a child, Robin understood the power of both aspiration and inspiration. Her father, Lawrence Roberts, was a Colonel in the United States Air Force, and a member of the famed Tuskegee Airmen. Her mother, Lucimarian Roberts, was a social worker, educator, and Chairperson of the Mississippi Board of Education. Bolstered by their encouragement and her talent, Robin excelled academically, and also in athletics as a basketball star at her alma mater, Southeastern Louisiana University. After college, her ambition and love of the game inspired her to take a shot off the court with a local news broadcast. Her knowledge of sports was a given, but it was her preternatural passion for broadcast journalism that provided the building blocks for her future. After several years as a contributing correspondent and news reader, in 2005 Robin joined Diane Sawyer and Charlie Gibson as a co-anchor of Good Morning America. She would go on to cover countless news events and entertainment specials, from Hurricane Katrina and the Inauguration of President Barak Obama, to the Academy Awards, where she has served several times as the host of the red carpet pre-show. Robin’s path to realizing her dreams was not without its hardships. Twice she faced life-threatening illnesses. She credits the love and support from her family, friends, colleagues and viewers for helping her to overcome breast cancer, and a rare and often fatal blood disease called myelodysplastic syndrome referred to as MDS. Through it all, she honored her friends and supporters by choosing to make “her mess her message,” something her mother said often. 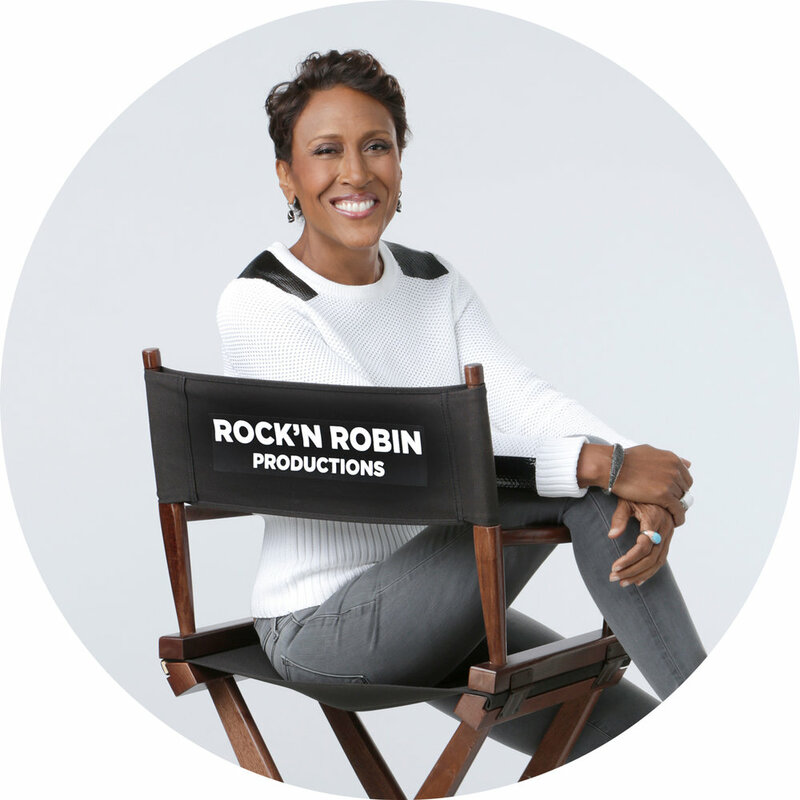 She opened her heart and soul, lifted the veil, and shared her struggle with the world on Good Morning America, and on a primetime 20/20 special entitled “Robin’s Journey”, hoping to inspire and encourage those in need. In 2012, her tireless documentation of her own medical odyssey won a Peabody Award. In 2013, she was the recipient of the Arthur Ashe Courage Award at the ESPYs. In 2014, Robin opened up even more in the pages of her second book, Everybody’s Got Something, making the New York Times best sellers list.